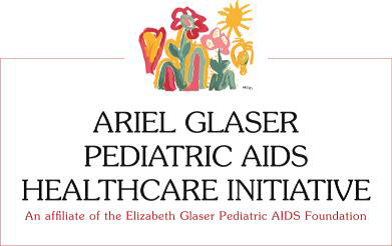 Glaser Pediatric AIDS Organization (EGPAF) is Tanzanian led and managed national organization focusing largely on HIV and AIDS and other related health programs. AGPAHI implements all its programs in collaboration with Tanzania Government Entities through the Ministry of Health, Community Development, Gender, Elderly and Children (MoHCDGEC) and President’s Office – Regional Administration and Local Government (PO RALG) and other stakeholders. AGPAHI supports the provision of high-quality HIV and other health services and ensures that efforts are well-integrated into existing regional and district health systems. The Program and Public Health Evaluation Director, under the supervision of the Executive Director will be responsible for leading all evaluation activities from protocol development to reporting of evaluation findings. This portfolio will support generation and use of relevant information to inform programs, share best practices and thereafter contribute to evidence based health systems strengthening. The position will provide leadership and oversight in the generation of a strong evidence base to ensure the effective delivery of quality programs to further the mission of AGPAHI and improving the lives of Tanzanians infected and affected by HIV.  Leads and oversees all aspects of the research and evaluation studies, from idea conception, development of protocols and data collection instruments, personnel training, study implementation, data management/analysis to manuscript writing.  Liaises with the relevant authorities to ensure all human subjects’ research protections are in place and all protocols undergo appropriate IRB reviews and approval.  Participates in preparation of study reports, abstracts and manuscripts and dissemination of results at district, national, and international levels.  Extensive experience in operation research and program evaluations.  Visit health facilities and provide onsite technical assistance to health facilities and project staff including sit- ins at the clinic days, assisting sites in data collection and submit to direct supervisor.  To systematically provide guidance for improvement and follow up whether or not issues have been solved, or advice has been followed.  Apply QI principles in regular supportive supervision through focusing on priority areas and utilizing QI-based methods /tools for improvement.  Analyzing and providing feedback on results to site staff, CHMT, PC-QI, immediate supervisor and where possible RHMT.  Assist health facilities in formulating, implementing and following up Quality Improvement Projects (QIPs), providing technical assistance regularly and when requested through regular supportive supervision, QI meetings and other site visits.  To perform a systematic supervision of M&E systems and to make effective use of M&E data to monitor performance and to provide feedback.  Experience in providing HIV care and treatment services. Under the guidedance of and reporting to the Regional Program Coordinator; the program officer monitoring and evaluation will provide technical support to health facilities in AGPAHI implementing sites; this includes planning and implementation of HIV/AIDS programs supported by AGPAHI . Training of staff and visit to AGPAHI supported sites , participate in data collection and ensure proper patient recording system. Monitoring and evaluation capacity building to sub grantees staffs as well as AGPAHI staffs at filed office.  Capacity building of site and AGPAHI staff on M&E techniques, and strengthen and encourage the data use for decision making process.  Support the sub-grantees and sites in collaboration with Data Management Officers and Program Officers, Clinical Services to make sure that all quarterly NACP report are submitted to DACC, RACC and MoHSW (NACP) in time and complete.  Make sure that all program quarterly reports (C&T, PMTCT, TB/HIV, Lab, PITC, supply chain and others) are reported in time and in a required quality in collaboration with PO CS, PO LAB, POCL and other staff.  Work closely and provide technical support to DMO in all matters concerning data management at AGPAHI, sub grantees and site level.  Critically review of data collection tools used at AGPAHI health facilities as required or where necessary.  Streamline the process of data collection to simplify and fasten the production of reports. Glaser and other database use for program M&E.  To assure that data entry in the Glaser, site capacity and community assessment databases is done timely, accurate and complete, in collaboration and supporting other field staffs who are involved in this activity.  To produce several standard reports from the Glaser and SCA and other DB for use in decision making and dissemination of lesson learnt as well as program performance to different stakeholders.  Participate actively in internal or external meetings concerning M&E and other project activities as delegated by the SPO M&E or Program Coordinator, M&E.  Play as key person in preparing and providing constructive performance based feedback to staffs at AGPAHI, sub grantees, sites and other stakeholders.  Reports on quarterly basis the program implementation achievements, challenges and reasons faced implementation of program activities and advised way forward. This should be qualitative way.  Reports on quarterly basis the outcome/effect/impact of using data through standardized template and best practice identified in different sub grantees and sites.  Work closely with technical staff to support research and targeted evaluations; through involvement in proposal development, developing tools for research and research techniques.  Involve in report writing and dissemination of research results (through abstract submission in different conferences) after conducting the research.  Applicants should hold a degree in statistics, health sciences, public health, international health, or a related discipline. A background in medicine will be an added advantage.  Assist in standardizing data management procedures such as documentation for departmental operating procedures.  Maintain program data accuracy through review of patient’s forms for completeness and consistency.  Provide expertise to all areas of data management including project teams, functional areas and management. You will also monitor data management activities to gauge compliance with standard process.  At least 3 years’ experience in data management or database administration. The ALHIV program has a main goal of improving health services to prevent HIV transmission, increase identification of adolescents with HIV infection, and improve HIV care and treatment and retention for ALHIV in Tanzania. Under the supervision of the Program coordinator ALHIV the Community Liaison Officer (CLO) will provide leadership in community initiatives that support effective referrals and follows up of adolescent and children between the health facilities in the project sites and the surrounding communities that promote Care & Treatment, PMTCT, Family Planning and retention for ALHIV activities. He/ She will work closely with the Care & Treatment & RCH Program Officers as regard to provision of Technical guidance to implementation and documentation of lessons learnt from the sites.  The Community Liaison Officer (CLO) will function as part of the team to provide technical leadership in facilitating collaboration and networking between the facilities based activities for Care & Treatment, PMTCT and Family Planning with the ongoing HIV/AIDS related services in the community and ensure effective linkages within the health facilities and follow-up mechanism for Care & Treatment adolescent, positive young pregnant women and exposed children are in place.  Work with the field officers to facilitate networks and linkages between the sub-grantees with potential Organization that are involved in supporting PLHAs (in cancelling, nutrition and income generating programs) in the project sites.  Organize trainings for peer educators in the project areas.  Represent the organization in different collaboration meetings between the government and other CBOs and NGOs that focus on strengthening continuum of care in the community.  Compile and prepare quarterly programmatic report on community linkage activities and support other team members in report preparation and compilation.  Proven experience in working with rural communities in problem identification, setting solutions/planning and implementation.  A Bachelor’s degree in Procurement and supplies management.  Advanced certificate in Strategic Procurement will be an added advantage.  Knowledge, experience and familiarity with USG federal compliance rules, regulations and standards will be an added advantage.  General office administration, procurement, and logistical skills.  At least 3 years’ experience in dealing with procurement, and logistical activities.  Additional experience working with Government of Tanzania offices (MoH & TRA) for VAT exemptions.